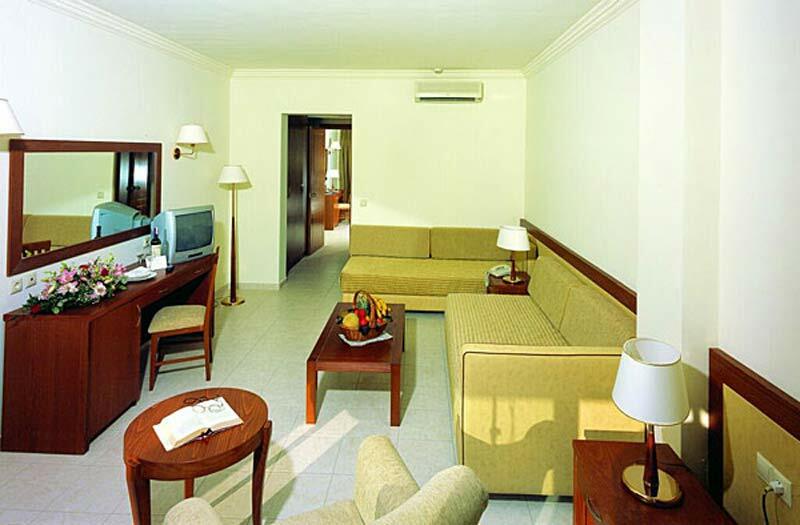 ﻿ Porto Bello Royal Hotel - Nostalgia Travel Agency, Kos - Dodecanese Greece. - WC, BATH, BALCONY or TERRACE. - TEL, TV, RADIO, MUSIC A/C. 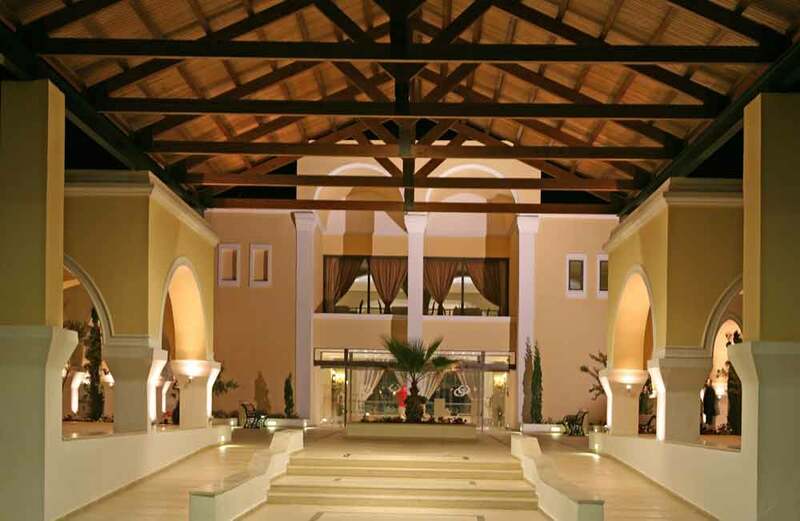 Porto Bello Royal is a 5 Star hotel that gives a new dimension to the meaning of luxury hospitality. It is a perfect place for a vacation where the modern architecture combines the local harmony with the natural environment. A rare place where sophistication and fun co-exist in perfect harmony. 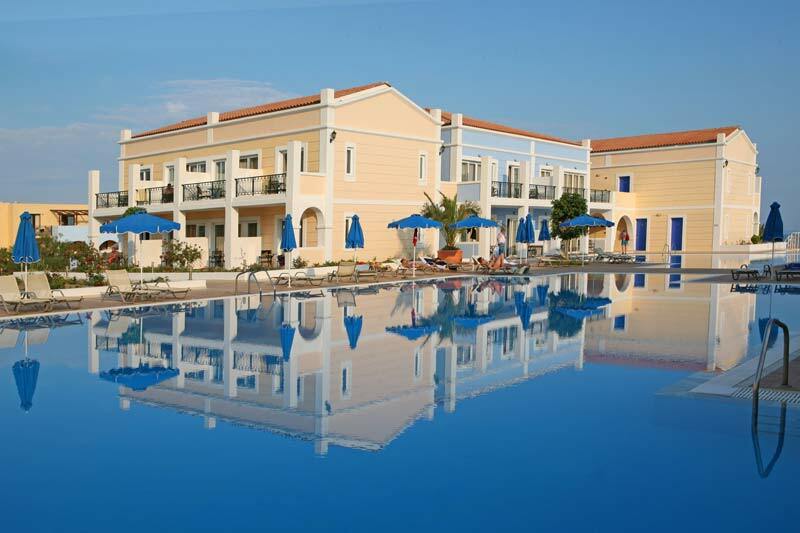 Situated on the Southern coast of Kos 2 Km from the village Kardamena and 7 Km from the International Hippocrates airport of Kos. 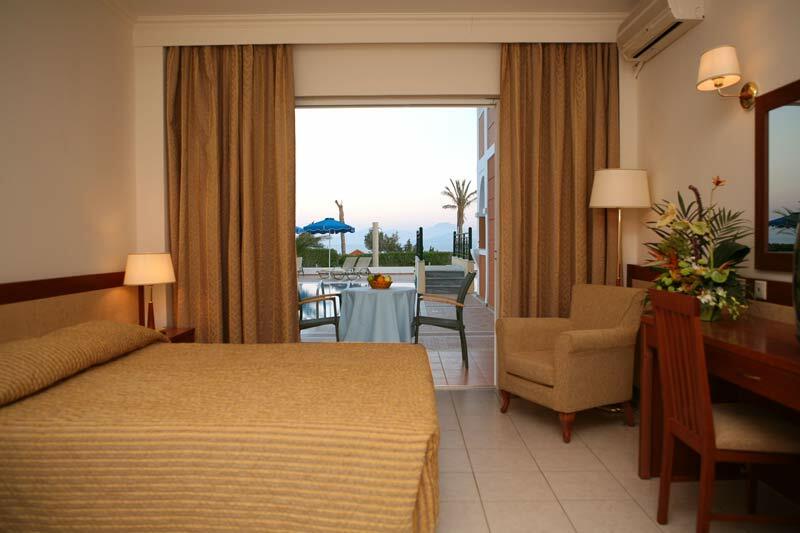 The Hotel is made in a superb, modern, Mediterranean design, with one storey mansions and bungalows, as well as 259 Luxury Suites. 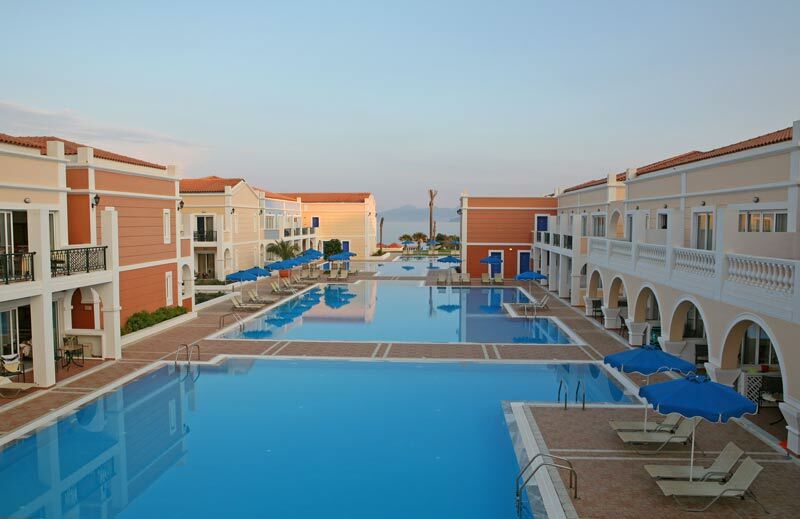 All types of accommodation have access to private or semi private swimming pools. Porto Bello Royal also has its own private Marina that can accommodate up to 26 boats. 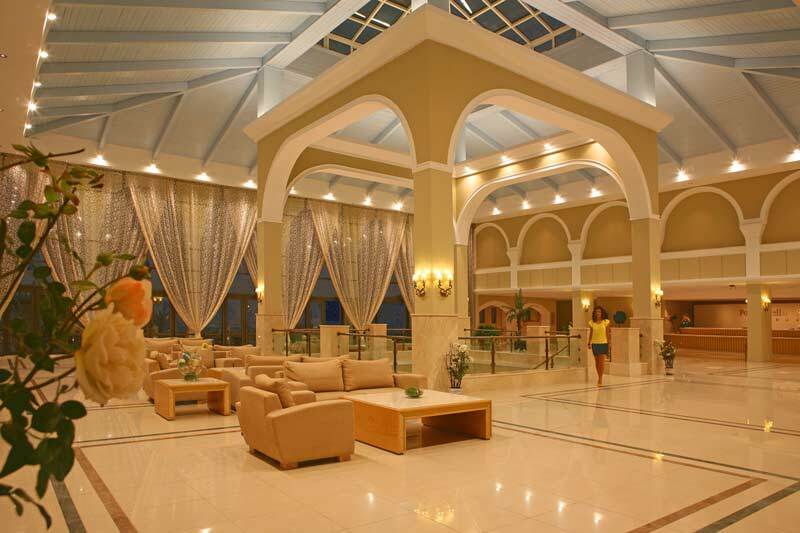 The spacious Lobby also has a Main Bar, which serves exotic, as well as traditional drinks, which are also included in the generous “All Inclusive” concept. Build on the best beach of the island of Kos, it is just 2km away from the graphic harbour of Kardamena and just 7km from the airport. 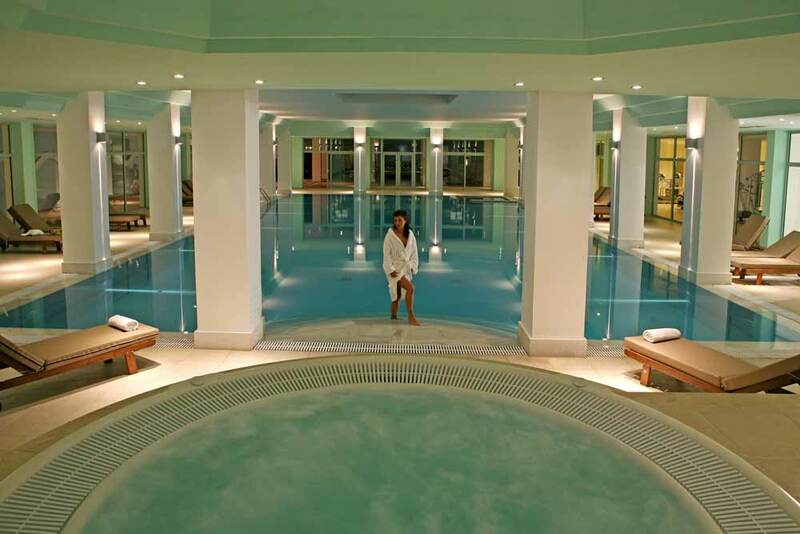 A wonderful water paradise specially designed for pure relaxation. 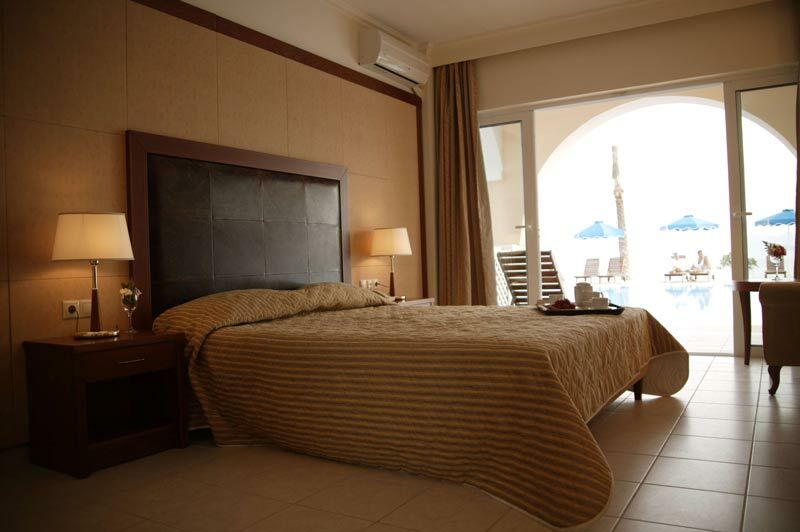 We offer a total of 310 luxury rooms in different types. 12 Outdoor pools filled with salt water, organised with showers, umbrellas and sun beds. 1 Pool for children with water slides next to the Mini Club and the play ground. 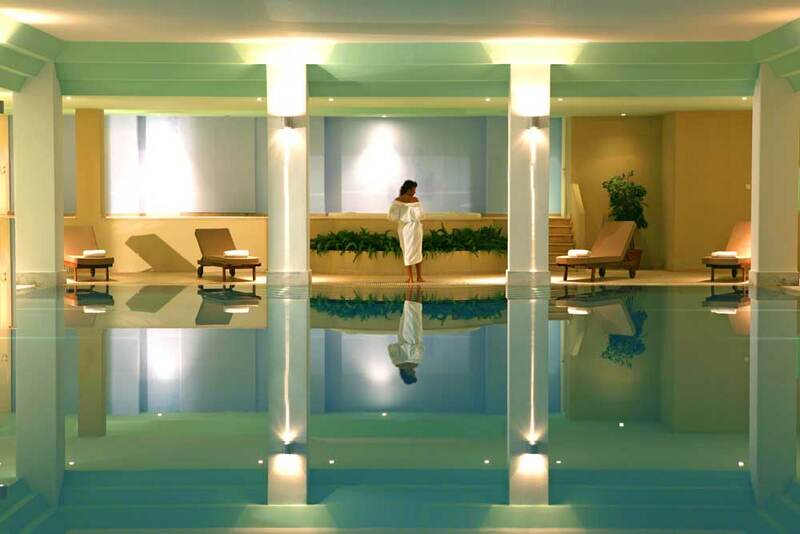 1 Indoor heated pool with fresh water. A totally organised private beach equipped with showers, cabins, umbrellas and sun beds. Car and Bikes rental office. Billiards and Table tennis room. 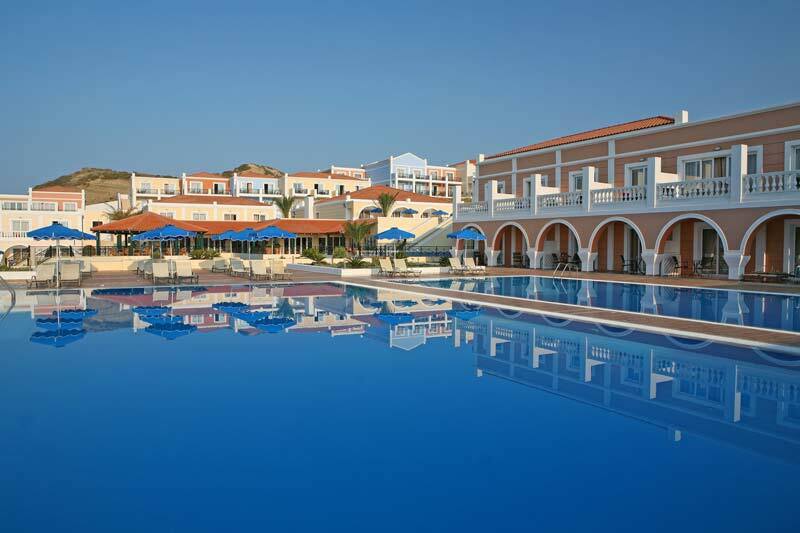 The main Restaurant is set next to the main pool and has a view of the beautiful islands of Nisyros and Giali. 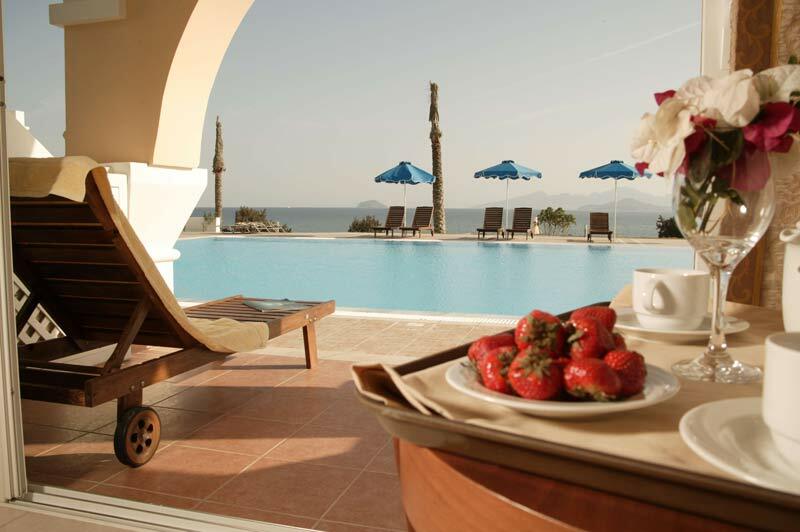 Breakfast, lunch and dinner are served with the wonderful tastes of Greek and international Cuisines. 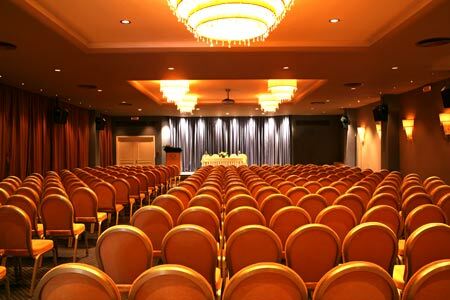 It is an ideal space for affairs sitting up to 500 people. This traditional Greek tavern with a wide variety salads and Greek specialties, can sit up to 150 people. This Italian Restaurant, with delicious Italian specialties, a selection of Pizzas and all types of pastas. 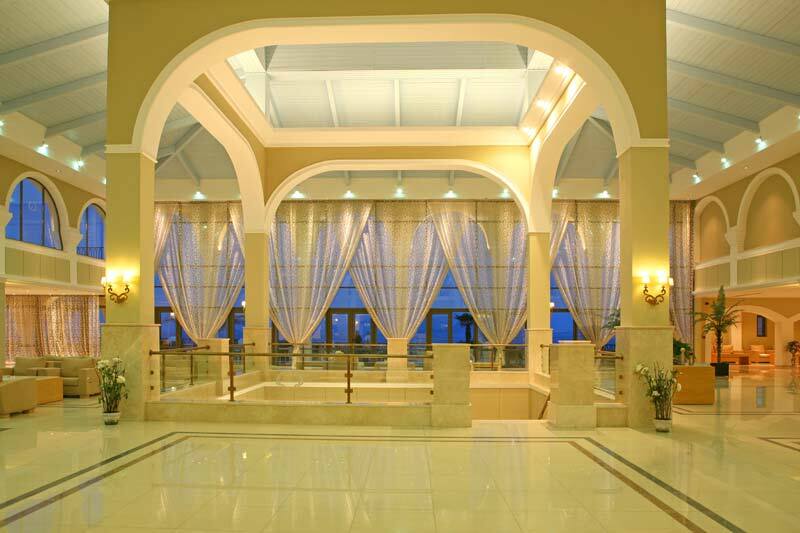 A perfect place for affairs which available space for up to 150 people. The fish tavern is located next to the sea with excellent seafood delicacies, can sit up to 150 people. The Asian Restaurant is an indoor area with lots of atmosphere, decorated with bamboo furniture offers you an incredible dinner with its Asian dishes. Available seats for up to 70 people. The French Restaurant is perfect for the demands of the high quality tastes and the unique view of the Aegean. Sit and relax with a drink or a cocktail at the main bar “DIONISOS” or quench your thirst with a refreshing soft drink at the pool bar “DELFINIA” or at the beach bar “ALBATROSS”. “TUTTI FRUTTI” is the favourite refreshing corner for children and parents with 18 different flavours of ice cream. The hotels exciting entertainment team offers the guests a series of activities which begin in the morning with gymnastics, aerobics and games on the beach. A well organised evening programme showing different dances, plays and cabarets every night. For our small friends there is the Mini Club with games, drawing lessons and a professional in child care. Also has an evening show and cinema. 24 Hour on call medical help. A chemist is within a 2,5 km distance. Breakfast between 08:00 – 10:00 ( with extra charge ). Child care at set prices. Internet service available at the internet corner. Porto Bello Royal: A water paradise where swimming pools and waterfalls are connected in harmony while the golden beach and the blue of Aegean sea fascinates the adorers of the water element. FULL SELECTION OF ACTIVITIES FOR THE WHOLE FAMILY. 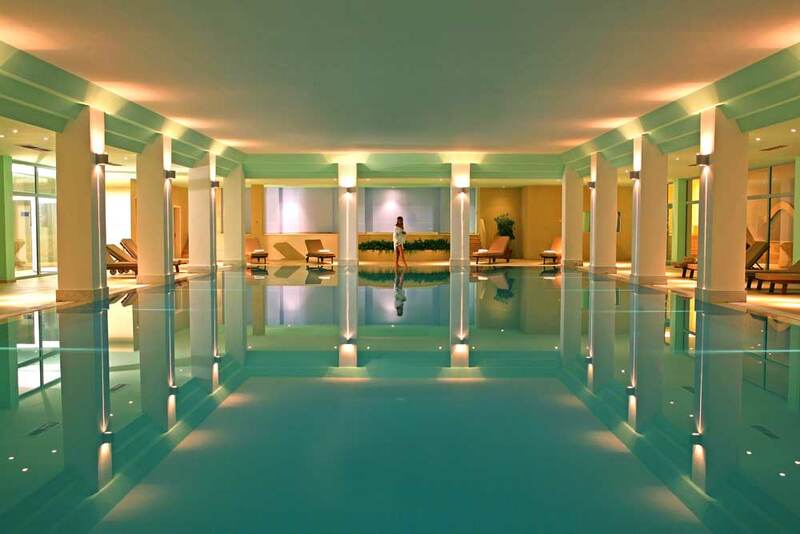 It is natural in a large luxury hotel for the activities to be plentiful and discreet. The guests have the choice of joining or just relaxing and resting. For any age at all times of the day there is something for everyone. Gymnasium next to the indoor pool equipped with fitness machines and bicycles. Free Transfer to Kardamena village. Sun-beds & towels free of charge.